UK Industry is experiencing a massive decrease in the number of new entrants choosing industry before further education – leading to a noticeable skills shortage. 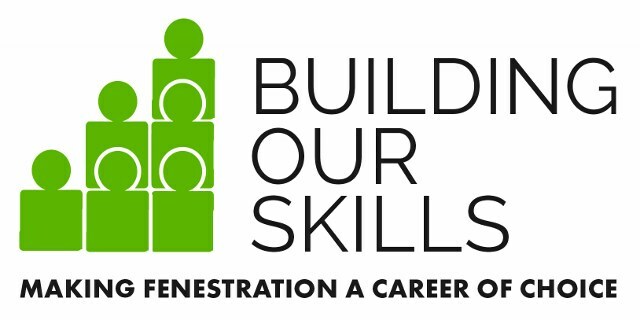 To help combat this for the Fenestration industry a new campaign – Building Our Skills – Making Fenestration a Career of Choice was launched in June 2018. The campaign is designed to help build a wider awareness of the industry and its many career opportunities and inspire young people – and career changers – to consider it as a career of choice. If you were to search online for the word ‘Fenestration’ you will find the following Wikipedia definition ‘The design, construction or presence of openings in a building, including items like windows, doors, louvres, vents, wall panels, skylights, storefronts, curtain walls, and slope glazed systems. A fantastic example of what the Fenestration industry is involved in, is the Shard. This stunning structure has transformed the landscape of London over recent years and is a great illustration of the type of projects individuals could potentially be involved in by choosing Fenestration as a career. So, why shouldn’t we shout out about what a wonderful industry Fenestration is to work in? For employers and individuals wanting to share their experiences with youngsters, simply commit to as much or as little time you have spare. Choose whether you wish to support schools/colleges locally to your home or your work address, and the matching service provided by the ‘Education and Employers’ will provide your details to teachers in the area who will be in touch to help plan an activity with you. “We are proactively encouraging employers to encourage their experienced employees to volunteer for ‘Inspiring the Future Making Fenestration A Career of Choice’ and engage with the local schools and colleges. We have already seen some of our more proactive supporters benefit from this type of activity and grow their workforce through young talent. Building Our Skills – Making Fenestration a Career of Choice is happy to offer further support and advice on the types of activities individuals could support. Angela, one of our wonderful Inspiring the Future volunteers, is a self-employed Artist who is passionate about giving back to her community by showing young people the importance of art in education, for both their development and futures.